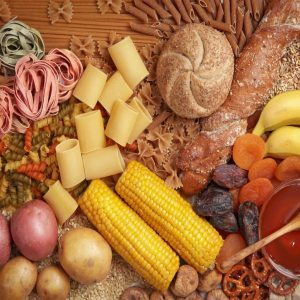 There are a lot of opinions on the amount of carbohydrates we should be eating and how helpful they are to maintain a healthy diet. You might have also heard the term ‘good carbs and bad carbs’ so what does this actually mean and how should you be incorporating them in to your diet. Whether you are a regular gym user looking to build muscle or someone who wants to maintain a healthy diet, having a good understanding about carbohydrates will help you achieve your individual diet goals. A carbohydrate molecule is made up of atoms of carbon, hydrogen and oxygen. In simple terms the nutritionally significant carbohydrate molecules are made with six carbon atoms of which, include glucose. Glucose is found as a natural sugar in food or is formed when more complex carbohydrates are broken down in the body by digestion of food containing carbohydrates. Glucose is the molecule that gives us energy to move in everyday life. 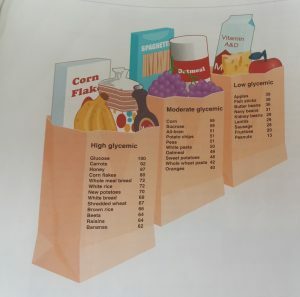 To make sense of this we can categorise carbohydrates in to sectors using what is known as a Glycemic index which is an indicator of different food’s (contain carbohydrates) ability to raise our blood sugar level. This is the part where some confusion can occur over how much carbohydrate we should be eating. If for example we eat a meal full of carbohydrates and we do not use that energy it provides through exercise as an example then that carbohydrate will be converted to fat and stored therefore eating too many carbohydrates without burning it off through exercise will convert to fat and that is how individuals may put on weight. Therefore if you are not an active person be sure to control your carbohydrate intake or try and stick to low GI foods. 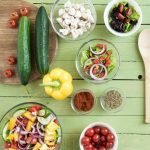 There will usually be a certain amount of carbohydrate in the majority of foods that we eat and as mentioned above we use the GI index to determine the ability of these foods to raise our blood sugar level. Foods that contain high levels of carbohydrate are foods such as breads, pasta, potatoes as well as chocolate and sweets. These foods would tend to score high on the glycemic index and raise blood sugar levels quickly. This means that these types of foods in moderation would be ideal if you need ‘quick’ energy for exercise. Foods that tend to score moderately or lower on the glycaemic index are whole wheat products such as brown breads and brown pasta, beans and lentils, these foods are also usually high in fibre. These foods are ideal for slower releases of energy and usually keep you fuller for longer. So how much carbohydrate should we be eating? 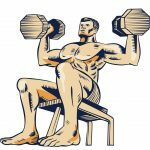 This will highly depend on the type of person you are, obviously if you are a person who exercises regularly whether this is to build muscle through weight training or just keeping fit through cardio exercise then you will need to be eating a higher carbohydrate diet in order to fuel your exercise. If you are one of those people you should be looking to eat between 250-400g of carbohydrate a day. However if you do not do a lot of exercise this should be significantly lower perhaps around 200g per day due to the fact these carbohydrates would not be burned off and therefore stored as fat.